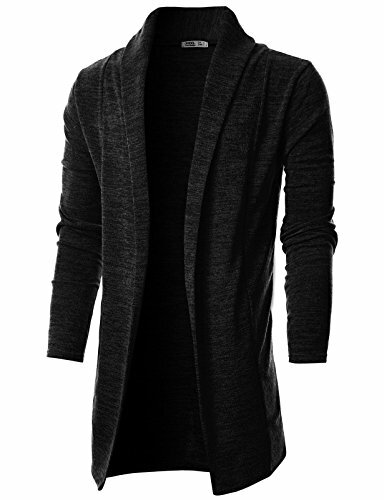 Ohoo Mens Long Sleeve Draped Lightweight Open Front Shawl Collar Longline Cardigan/DCC026-BLACK-M | What Should I Say? Ohoo is a micro brand for rational life style. we suggest only a little items after meticulous planning. We want our customers to be 100% happy with our products. Our main products are tshirts, shirts, hoodie, coats, jackets, blazers, cardigans, sweaters, suits, chinos, jeans, pants and accessories for men and women. Most of our items are produced to slim fit style. Ohoo brand was created by Ohoo&Company in Korea. Ohoo&Company is the sole authorized Seller of Ohoo brand products. Please make sure item Sold by Ohoo&Company before you buy. If you have any questions about this product by Ohoo, contact us by completing and submitting the form below. If you are looking for a specif part number, please include it with your message.